Is it snowing in Pitztal Glacier ?ありがとうございました! 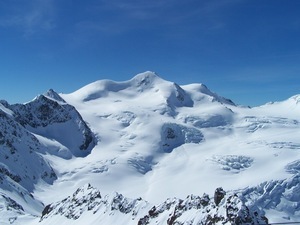 The Pitztal Glacier is the highest glacier in Austria. 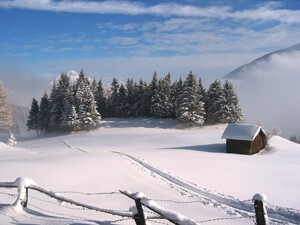 The ski area includes Lake Rifflsee which is close by. 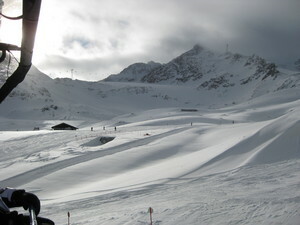 There are 13 lifts at Pitztal Glacier and 22kms of piste. 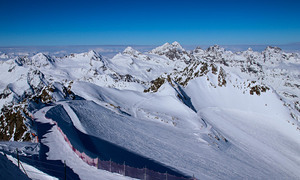 The terrain at Pitztal Glacier is suitable for all levels of abilities. Pitztal Hochzeiger is 15 km away from Pitztal Glacier. 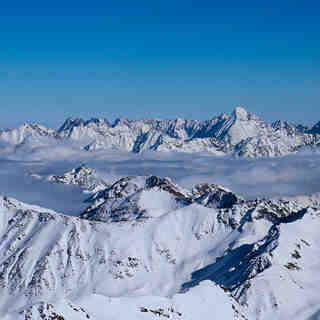 Had a great time skiing in Pitztal in January 2013. 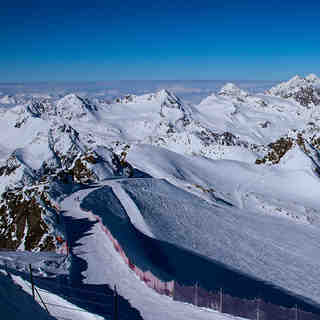 I would recommend it for advanced skiers, as the red-only runs from 3440m are pretty challenging. As the previous reviews pointed out, besides the great skiing, new lifts and amazing scenery, there are basically no crowds - we had absolutely no queues during the entire trip, and the slopes stayed in good shape throughout the day. We enjoyed skiing from the 3440m lift during the first part of the day, as the slopes there are steeper and have more sun during the morning. After lunch, we moved to the other side of the resort, to the 3270m lift, which received more sun in the afternoon, had a fun snow park and easier slopes. The retreat from the resort can be made by cable car; if the avalanche risk is low and there are at least 40-50 minutes of daylight left, you can take the "emergency retreat" to the valley, which crosses the glacier and winds through a wild and huge alpine valley. Watch out though, as avalanches there DO happen, and the path is NOT protected. It's worth paying the extra 10 euro a week for the ski pass to include Hochzeiger ski area, as a backup for stormy days, or simply as a variation. It has about 50km of slopes and great views all around. I would recommend the slopes 10 red and 12 black - the first has a great view, the second is long, challenging and fun. On Thursday nights the 6km sled track is lit until 1.30 in the morning. We had a great time in Pitztal and actually prefer it to larger resorts such as Solden and Zillertal due to the lack of crowds and great skiing. If you are a beginner though, there are better choices out there.